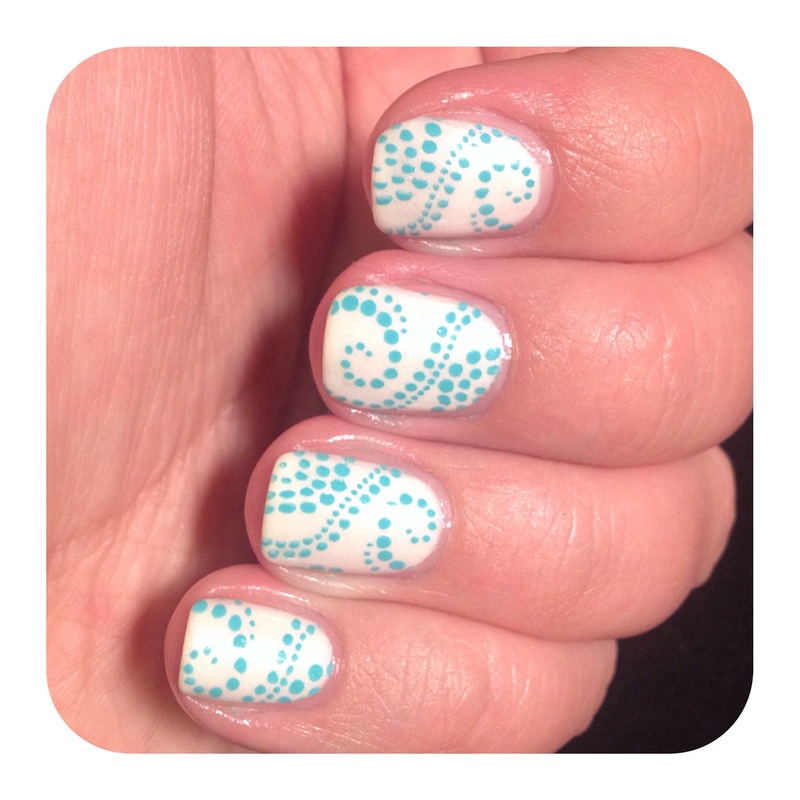 #StampingSaturday- White and Aqua Nails | Polish Me, Please! I hope you all are having a good weekend. I’m having a busy and kind of stressful weekend to tell you the truth, but such is life, right?? Welcome to being a grown-up 😉 Today I have some really quick and cute nails that aren’t exactly “blow your socks off” material, but there isn’t anything wrong w them either so yay for small victories! These were a snap to do. I just painted my nails with Zoya Genesis (after my base coat, of course) and then stamped on this swirly dot design from BM 607 using Mundo De Uñas Aqua. I used my newest stamper the Winstonia Squisht XL and I’m still a big fan. I topped my nails with Seche Vite as usual and called it macaroni. If you enjoy stamped manis, join us every Saturday by clicking the button below and adding your own nails. The button is also the way to see everyone else’s awesome stamped nails. Let me know how you like mine in the comments below. As always, thanks so much for reading and commenting and till next time- Happy Polishing!! Love these! They came out great! Thanks so much! You should join in on Stamping Saturday sometime! Grown up life…BOO! But, easy, cute nails…YAY! How was the smell of that bad boy? Deathly? They do stamp amazingly, though. Eva from https://flightofwhimsy.wordpress.com created that stamp !